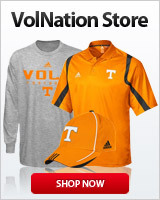 Hi - We are coming down to visit my daughter the weekend of Feb. 9 and would love to go to a Tennessee b-ball game. I am a MD season ticket holder, but have never been to a basketball game at Tennessee. I am looking for one LL ticket to the game (wife and daughter will likely go shopping and spend my money). Please let me know if you have one to sell. Love watching UTK play and think this is a definite Final 4 team. Thanks in advance!